Embrace the chic and classic style of the 1950s with this timeless bow hair comb. 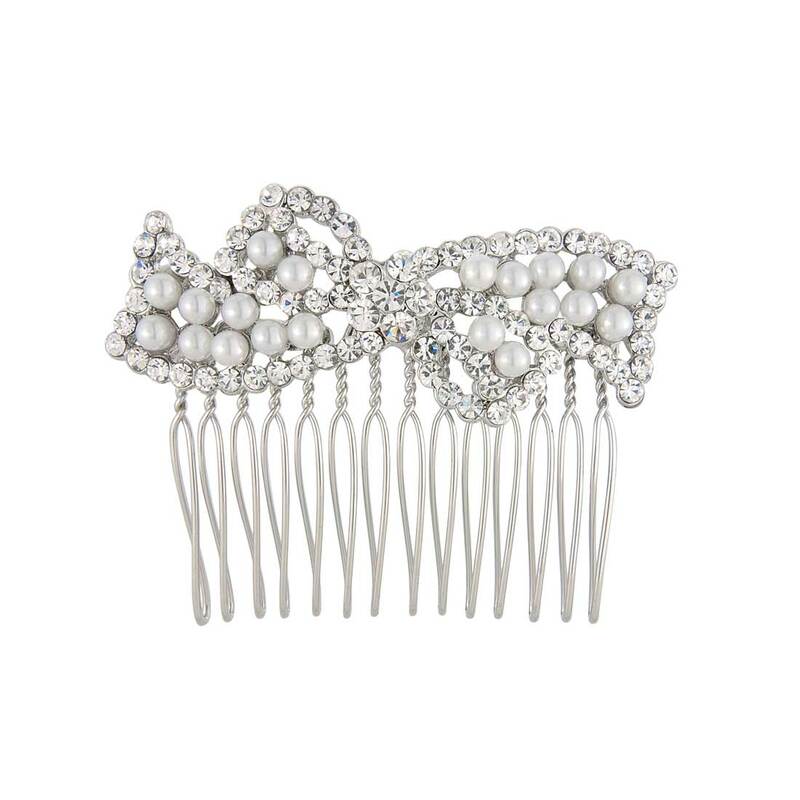 So pretty, Bow of Pearls Hair Comb takes its inspiration from hair accessories from the 1950s. Featuring a bow adorned with light ivory faux pearls and outlined with sparkling clear Austrian crystals, this silver tone piece is chic and classic. A versatile size, it looks exquisite adorning a romantic side chignon, an elegant French pleat or a half-up 'do. A beautiful bridal hair comb for the bride who adores the timeless style of the 1950s and who favours understated accessories, this is a piece which looks fabulous with a tea length full skirted dress or floor skimming gown. A pretty bridesmaids hair comb to complement 1950s style prom dresses too. I wore this hair comb for my wedding day, as I wanted something sparkly but not too in your face! I loved it as soon as it arrived in the pretty little box - and I received plenty of compliments about it on the day :) I would definitely recommend!